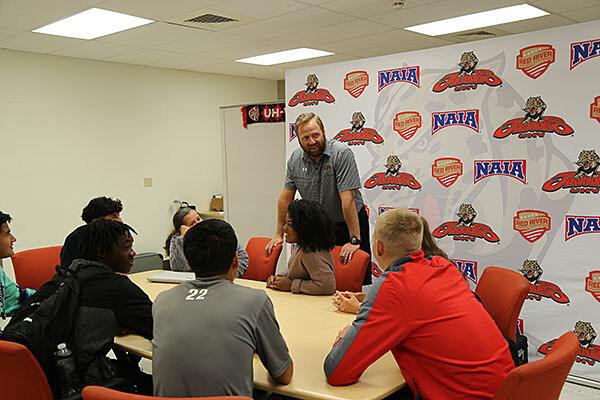 Adrian Rigby, standing, UHV assistant athletic director, explains the new Jobs After Graduation program Thursday to freshman athletes. The program will focus on helping UHV student-athletes prepare to start careers after graduation. 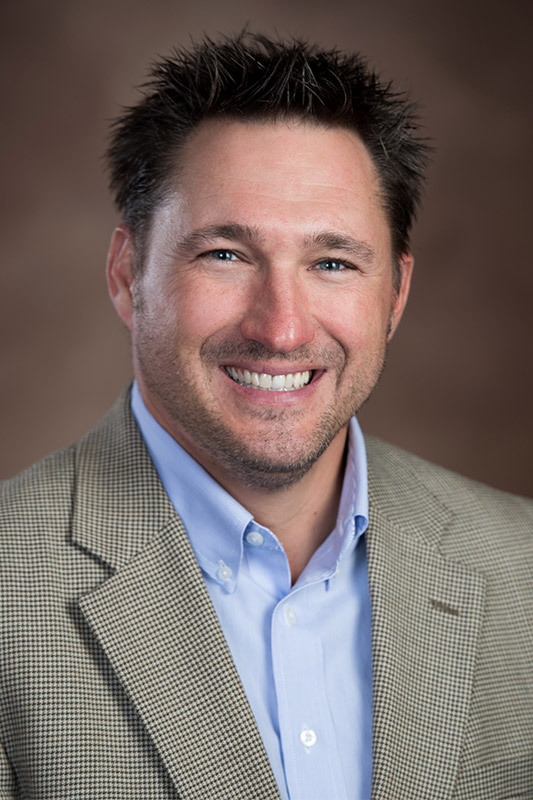 Adrian Rigby, University of Houston-Victoria assistant athletic director, today announced the launch of Jobs After Graduation, or JAG, a comprehensive student-athlete enhancement program dedicated to providing learning and internship opportunity experiences for UHV athletes. Rigby wants to see that change so UHV’s student-athletes are more prepared and have a career plan once they graduate. “The program idea came about due to that fact, but also seeing that student-athletes were prepared and utilizing the services available to them and also trying to see if we could supplement the already existing services and tailor it more toward the student-athletes,” he said. UHV Athletics Director Ashley Walyuchow echoed Rigby’s sentiments about the program. Through the program, all UHV student athletes will be required to participate in graduation-year specific learning each semester preparing them to obtain employment and enter the workforce upon graduation. This year, the program is tailored to all incoming freshmen. Rigby said JAG is a detailed four-year plan, and each year there are more and more classes and seminars for the student-athletes to attend. Students are required to create a LinkedIn account, attend guest speaker sessions and perform community service, as well as attend resume writing session with UHV’s career services. Student-athletes will also have opportunities for internships, job shadowing and part-time jobs. “We asked each member of the coaching staff to reach out to their contacts in various fields to see if they would be interested in being guest speakers, provide job shadowing opportunities, offer internships, job opportunities, or any kind of assistance that we can rely on within the community,” Rigby said. Rigby noted the response has been very well received with a number of contacts coming from the business field, medical fields and various other fields in Victoria. Walyuchow also pointed out the uniqueness of the program as not very many other universities offer this type of program. There are only a handful of collegiate athletic programs around the country doing something similar and I don’t know of any at the NAIA level,” Walyuchow said. For more information on the program, contact Rigby at 361-485-4418 or rigbya@uhv.edu.